A week ago, I attended a scientific forum at St. Luke’s QC, where Autism Spectrum Disorder (ASD) was discussed from different viewpoints of professions working with such cases: developmental pediatrician, neurology, occupational therapy, speech therapy and even music. Their discussion was not the less eye-opening: 1 percent of the population is affected with the disorder, which can range from high-functioning individuals to low-functioning ones that need life-long care. In addition, those that are affected by ASD are also prone to obesity, high blood pressure, seizure, epilepsy and, immune disorders, among others. If a parent of a normal child already faces real challenges in raising one, just imagine the tremendous challenge of having one with ASD. But ASD is just one of the many conditions that can afflict a child. There are others, too: non-physical cases like Down Syndrome, Global Developmental Delay, ADHD and Learning Disabilities; while there are physical cases like Cerebral Palsy, hearing impairment, blindness, and those born with chronic diseases. Of course, these are but a few of many. When drilled down, Special Needs Planning encompasses a very wide array of conditions, each of which necessitates even different approaches in personal finance. Cash Flow. Recording and forecasting cash flow is very critical in special needs planning. An emergency fund is a must: three months’ worth of expenses for a two-income family and six months’ worth for a one-income family. This shall serve as a buffer for life’s unexpected turns and should include the cost of therapies, medications, and schooling. Expected expenses should also be projected: therapies, procedures, and medicines needed for the duration of the child’s life. These, on top of the usual household expenses, may be recorded in a spreadsheet for enhanced monitoring and review. Insurance. Think of the worst: what if something happens to you so that you cannot already provide for your family? Where will they get the resources to survive? Insurance is all the more needed for families of children with special needs. Take, for instance, a case in which a child has a condition that could render him/her unable to work—as in some cases of autism or cerebral palsy—s/he would be financially dependent for the rest of his/her life. Having the right type and amount of insurance will enable the parent to continually provide for these needs throughout the child’s life. As each condition is unique, however, they would require different approaches in computing the insurance needed. Therapies, medications, life expectancy of the child and a desired lifestyle for the child are just some of the factors to be considered. Documents. Important documents such as a will shall ensure the proper disposition of assets and secure resources for the child’s needs. A Letter of Instruction (LOI) detailing the child’s lifestyle will greatly help in knowing how to care for the child. An LOI, for example, can include the child’s allergies, medications, schedules, or quirks, such as preferences in food and potential causes of irritation. A Guardian. Parents should able to determine the potential guardian of the child should they become unable to continue carrying out such responsibilities. Guardians can be identified in the will, and parents should carefully consider who they prefer to perform that role. Among others, the ability to extend loving care and affection as a parent to a child should be a major qualification for the person chosen to act as guardian. Typically, a close relative is chosen for that function. But parents may also assign a secondary or even a tertiary guardian – as a backup to the primary – one that is reasonably close to the age of the child. A Team. It is best to work with a team of experts in designing a financial plan for a child with special needs. A lawyer, an accountant and a financial planner should be part of it and it is desirable that these are people who really know the breadth and depth of special needs planning. Communication. This is a key consideration in special needs planning. Parents must continually communicate with his/her team of experts as regards their desired lifestyle for the child, or if there are changes in his/her condition. Parents should also regularly communicate with the guardians through family meetings to keep them in the loop for any developments regarding the child. Your own needs. Lastly, parents should not forget to provide for their own needs as well. We, Filipinos, naturally provide for our kids first, and ours last, but this does not exempt us from preparing for our own future as well. Think of a scenario where you are retired from work, facing all the medical and living expenses that you need in your old age. Think of that scenario where your children are unable to provide for you and you are just living off your pension. Prepare for all that as well so that your needs are met—and, if possible, still continue to provide for you child with special needs. 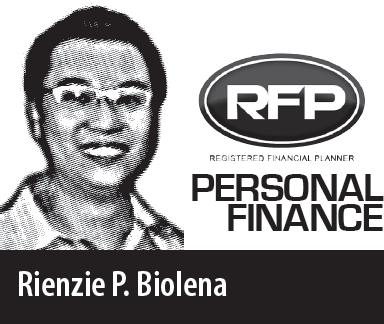 Rienzie Biolena is a registered financial planner of RFP Philippines. He is chief financial planner of WealthArki & Consultancy, Inc. a financial planning and wealth management advisory firm aligned with international best practices. To learn more about financial planning, attend the 63rd RFP program this July. 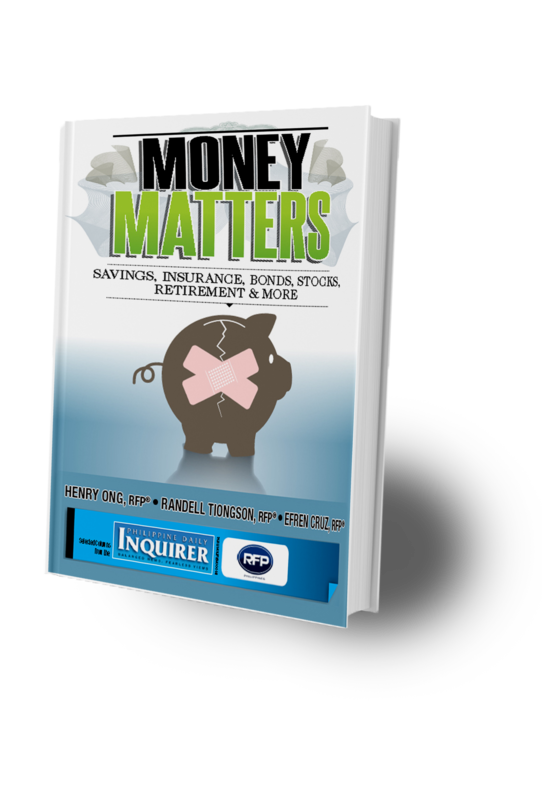 To inquire, e-mail at info@rfp.ph or text <name><email><RFP> at 0917-9689774.